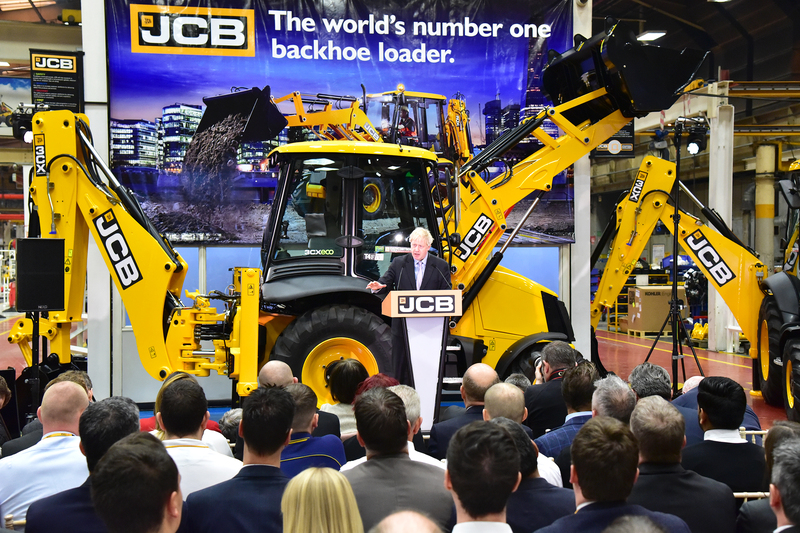 Boris Johnson MP visited JCB’s World HQ to deliver a keynote speech on Friday 18th January. He spent three hours at Rocester, Staffordshire touring the Story of JCB exhibition as well as the backhoe loader production line, where he met many employees. He was also given an insight into JCB’s LiveLink telematics technology during a tour of JCB’s offices before making his speech on the backhoe loader production line.